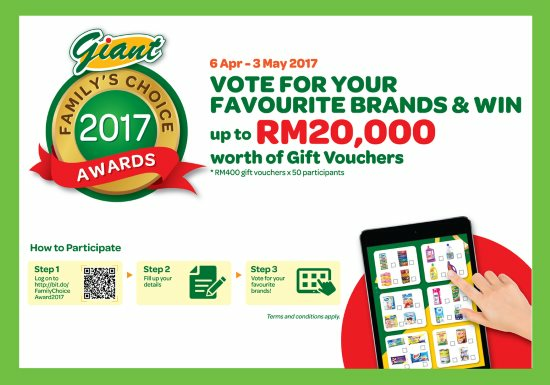 Home » Free » Giant » survey » vote » vouchers » [Winner List Updated] Giant Family Choice Award 2017 Voting Contest: Up to RM20,000 gift vouchers to be won! 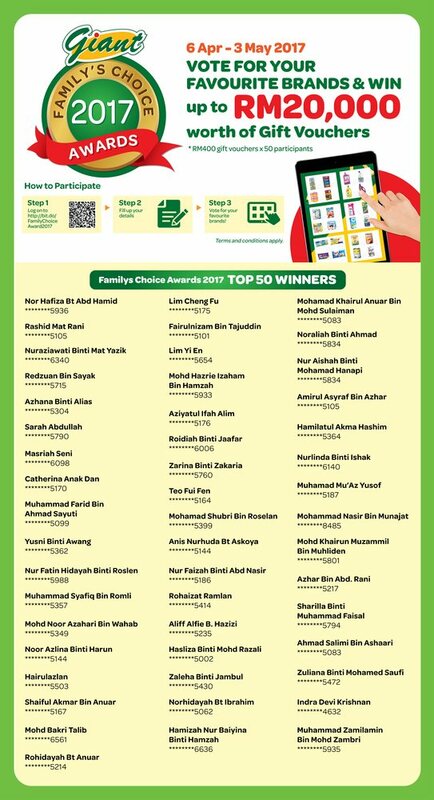 [Winner List Updated] Giant Family Choice Award 2017 Voting Contest: Up to RM20,000 gift vouchers to be won! Vote your favourite brands via Giant Family Choice Award 2017 online link. This voting is fully conducted through the online survey platform. Each individual can vote only ONCE. No purchase needed to enter this voting/contest. Winners are decided by those who have the closest match with the most popular survey results. Visit Giant Family Choice Award 2017 terms & conditions for more details.